Do you love throwing dinner parties and having people come over, or is the thought of all of the cleaning, decorating, cooking, and hosting that will have to happen enough to give you a headache? Either way, I’ve got some great tips I’m sharing today that will help anyone, from the seasoned party planner to the hesitant hostess, prepare for a dinner party that they are in charge of. 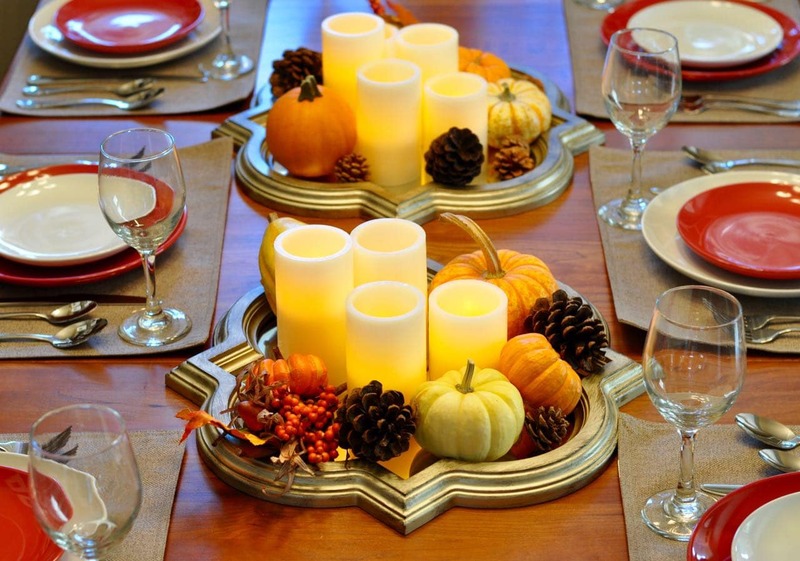 Put on your party hat, grab a drink, and read my tips on how to prepare for a dinner party! Tip 1. Plan in advance and invite early. Don’t wait until the last minute to invite guests to your dinner party. People are busy, and their calendars fill up fast, especially around the holidays, so be sure to get those invitations out at least 3 weeks in advance. The more you plan ahead of time, the less stressful planning your party will be! Tip 2. Pick an overall theme/idea/look for your dinner party. 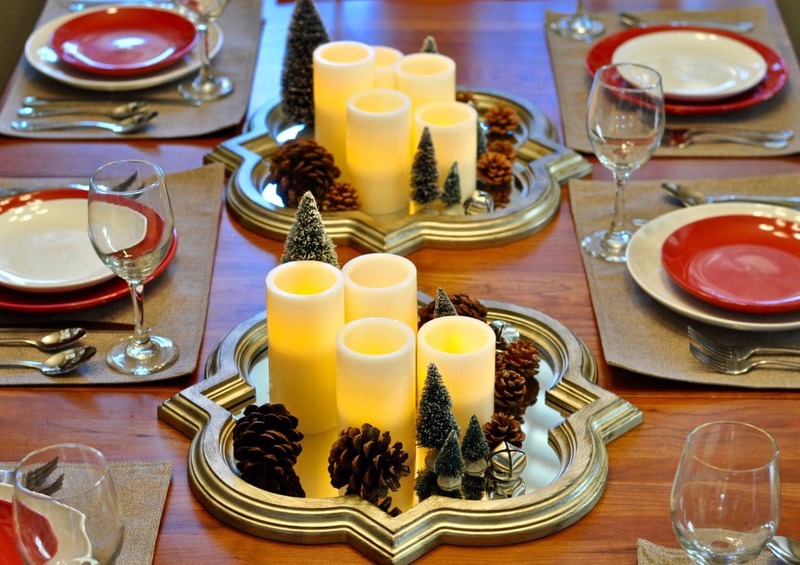 Are there any upcoming holidays that you’d like to incorporate into your party? Are there any specific colors that you’d like to use? What are the feelings you’d like to invoke? Once you have an overall theme and idea for your party, it is much easier to start deciding the details of the party, like the plate colors, centerpieces, menu items, etc. I recently went shopping at Big Lots and found some great deals on dinnerware, glasses, place mats, and more for some of my parties. Big Lots is the store to check first because they sell name brands and great quality items for awesome prices. 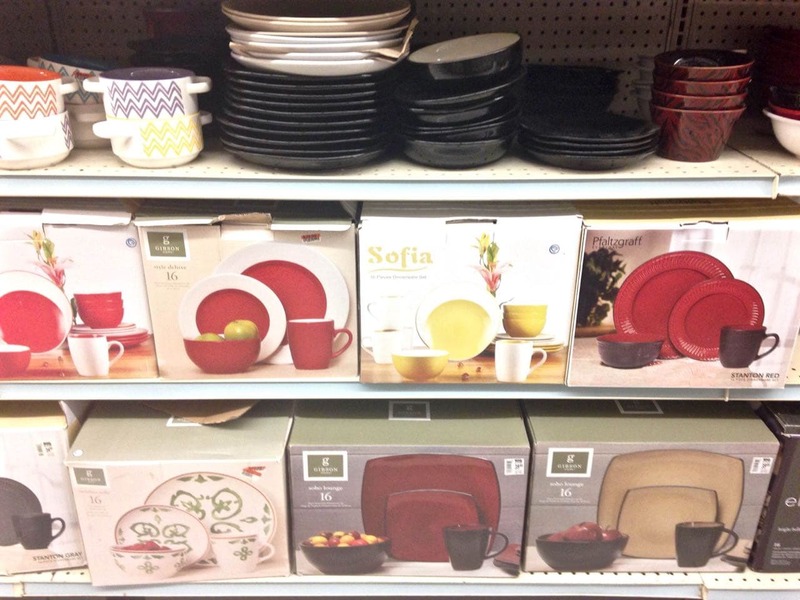 I bought two identical dinnerware sets, one in red and one in white. I love mixing and matching, so I used the red dinner plates with the white salad plates and vice versa for a little variety on the table. 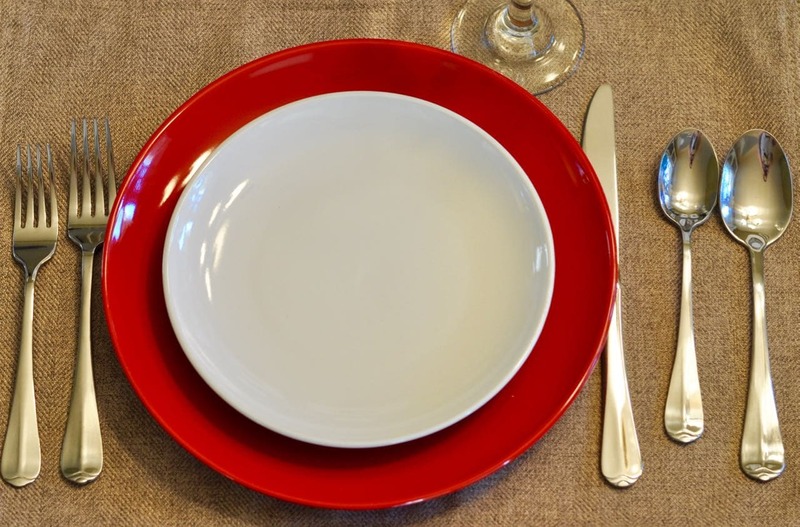 I placed the red and white dishes on some classic herringbone place mats I scored at Big Lots for a great deal. 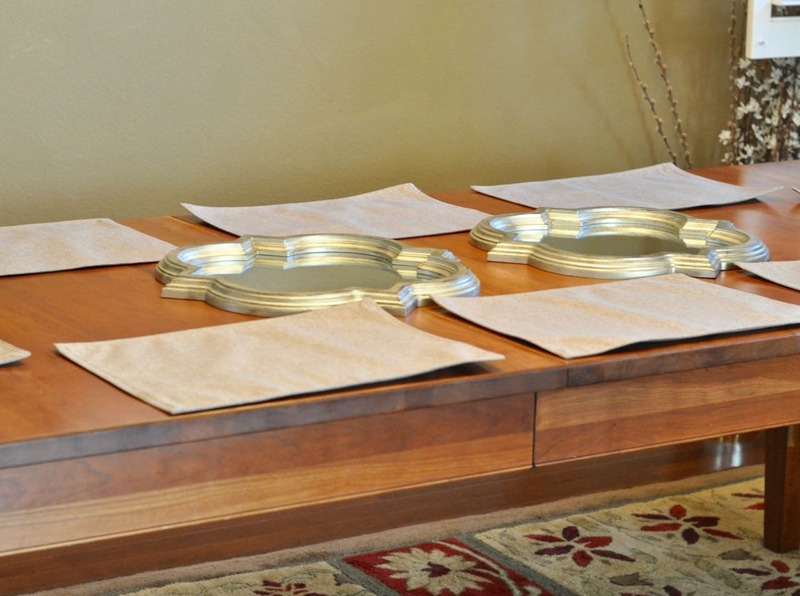 Depending on the amount of people that you invite, you might need to buy more silverware. I bought two sets from Big Lots and paid around $30 total for both sets. Such a great price, and now I know that I’ll have enough silverware when it’s time to entertain! Big Lots had a big selection of good quality glassware to choose from, all at amazing prices. 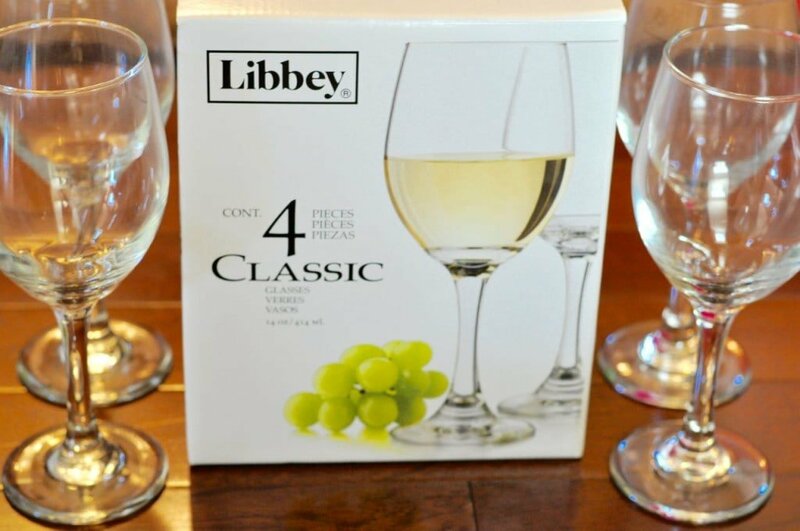 I bought some wine glasses for our holiday table. Even though we don’t drink, I like to use the “fancier” glasses and fill with cranberry juice mixed with soda for our holiday meals. Tip 3. Keep it Simple. If the thought of throwing a dinner party makes you nervous, then keep it simple! A simple, but well thought out party can be beautiful and sophisticated. 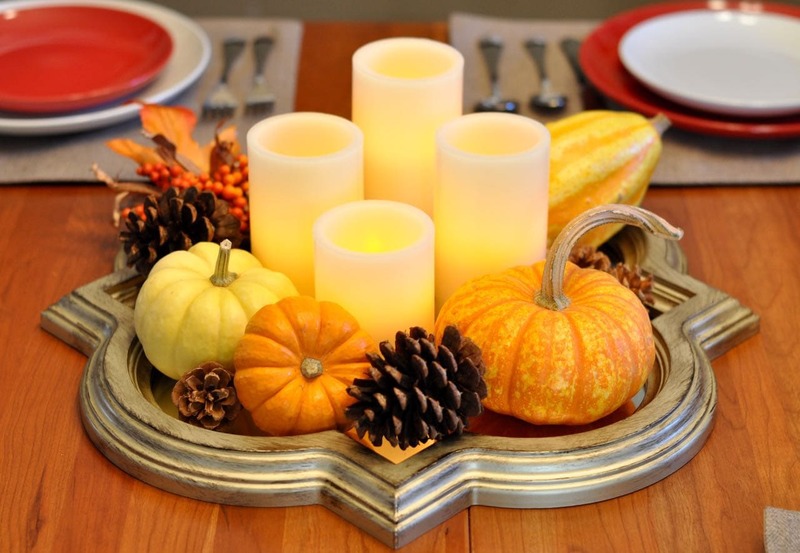 Use candles, natural elements, and small items that tie into your theme or colors to make a big impact. 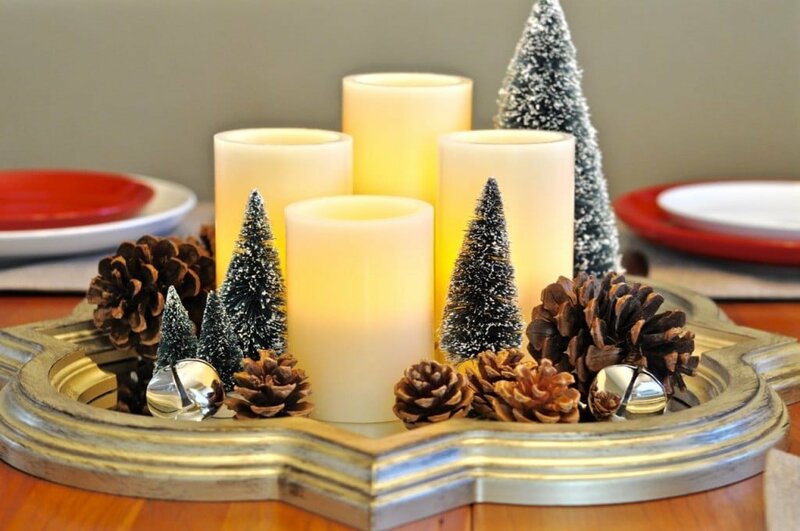 I bought some pretty LED candles and two mirrors from Big Lots to show you how easy it is to create simple centerpices that can be adapted for different holidays, themes, and seasons. Keep reading for the details! Tip 4. Think outside the box. Use items for a different purpose than what they were made for. I love being creative with centerpieces and decorations and surprising people with creative uses for things. 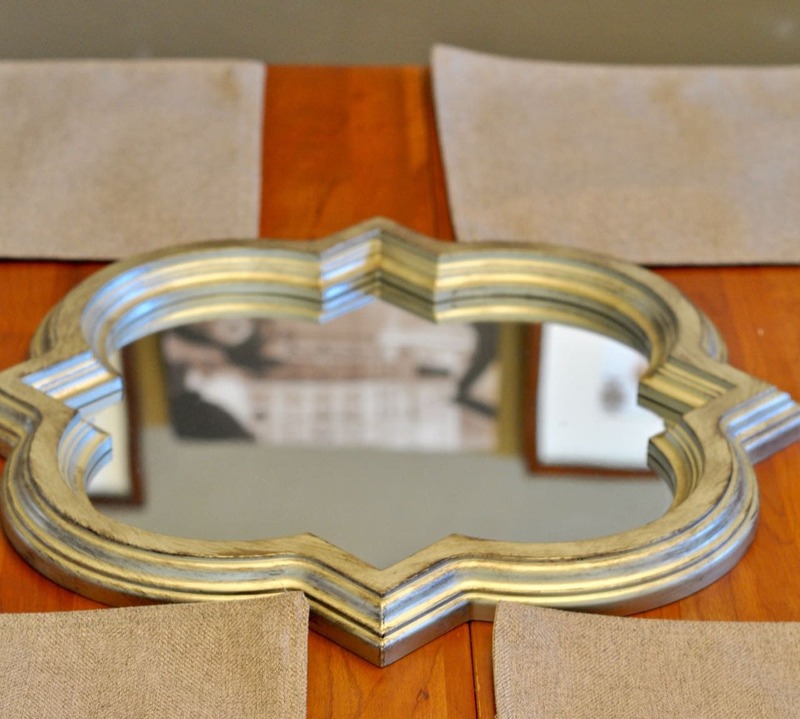 Those two decorative mirrors that I picked up at Big Lots? Instead of hanging them on the wall, I placed them on the table to use as centerpieces. Mirrors reflect light well, so I knew that these two mirrors would look great with a collection of candles sitting on each one. Tip 5. Shop your home first. I’ve said this many times on the blog before, but it’s so true! Before you go shopping for everything for your party, shop the store that’s always free first- your home! Look for items that will fit within your theme, season, or colors that you chose for your party. 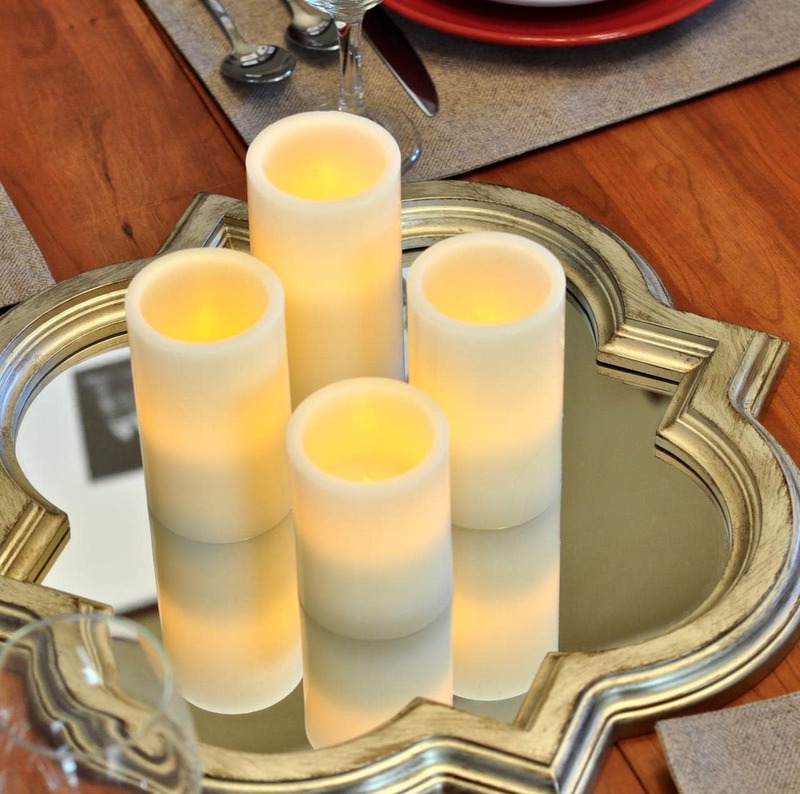 I love the candle centerpiece that I created with the mirrors and the candles. However, it was a little boring and needed a little more to make it stand out. I walked through my home and found lots of small pumpkins and pinecones that I already had and was using elsewhere in the house to decorate with. I rounded them up, and arranged them around the candles. Now my centerpieces stand out and look much more inviting and beautiful, and it didn’t cost me anymore to add those natural elements to the table! To show you how easy it is to customize for your party, I used the same candles and mirrors setup, but this time I added mini bottle brush Christmas trees and some jingle bells that I already had to the candles and pinecones, and now my centerpiece is ready for a winter or Christmas dinner party with friends and family. I love how easy it is to customize and turn a simple centerpiece into something beautiful that works for you and your guests. 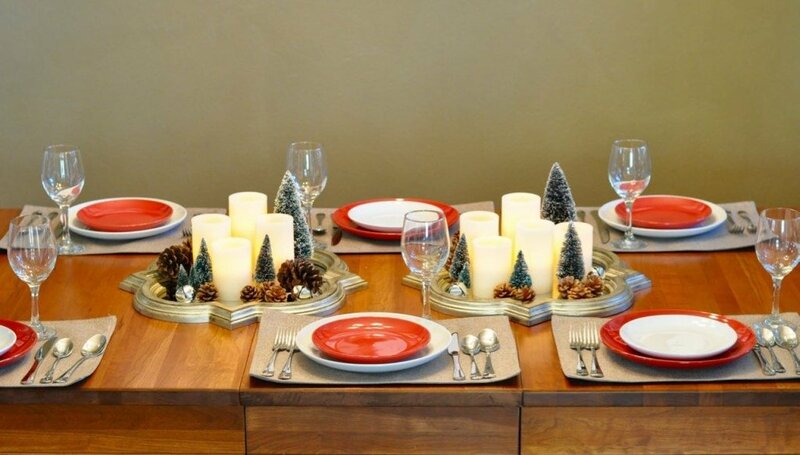 Be sure to create those centerpieces early so that you are less stressed before the party and can focus on the last-minute food preparations. Tip 6. Prepare the food in advance as much as possible. While you want all of the food to be as fresh as possible, be sure to prep as much as you can in advance. Can you make the dessert a day early? Can you cut the veggies in advance to save more time later? Look for all of the ways that you can cut your cooking and baking time down for the day of the party so you’re not scrambling to get it all finished at the last-minute. This will also help you to be a relaxed hostess who gets to enjoy the meal and sit back with family and friends and enjoy the time that you have together. Which brings to the last tip…. Tip 7. Relax and enjoy! You’ve worked hard for this party and have planned and prepped your little heart out, so now that the party has started it’s your turn to relax and have fun. And if something doesn’t work out exactly the way that you had planned? Be flexible, keep a smile on your face, and go with it! Chances are your will be more worried about it then anyone else, so don’t worry. I hope this tips gave you some ideas on how to prepare for a dinner party and have you excited about hosting a meal for those that you love. It’s a great way to create memories and build bonds with family and friends, especially during the upcoming holidays. Be sure to check out Big Lots‘ home decor selection. 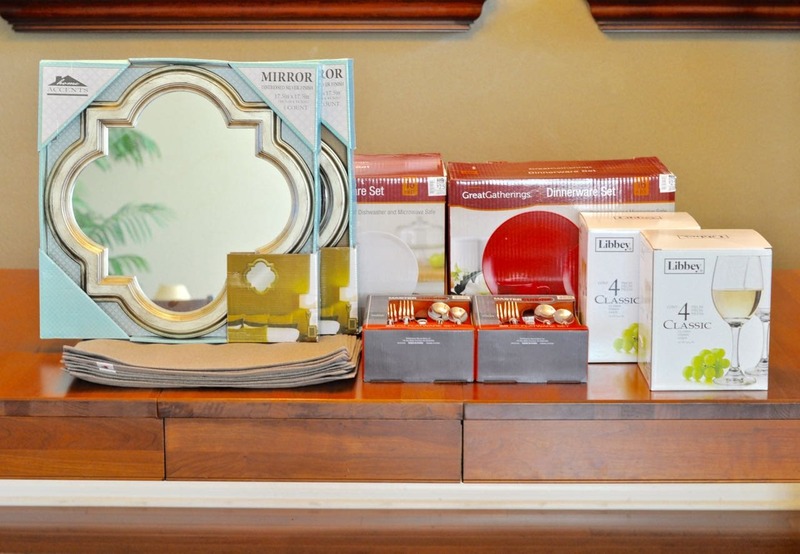 They’ve got lots of quality items for great prices! 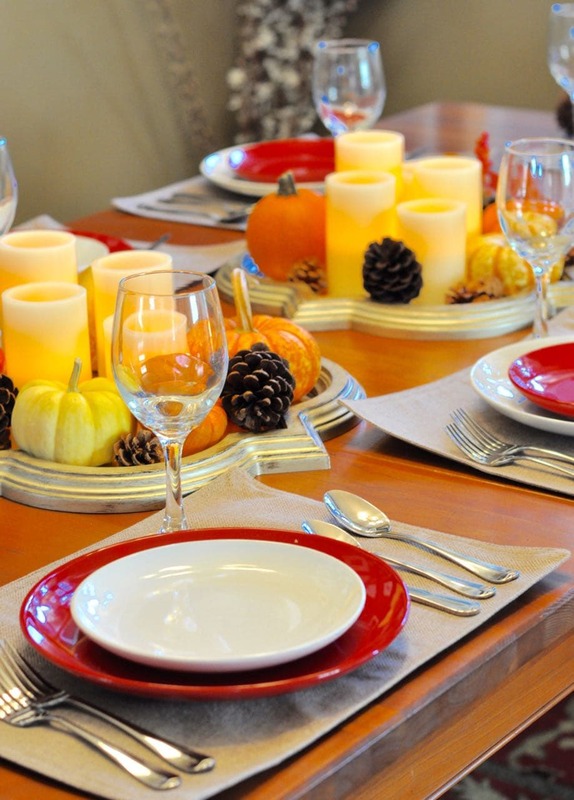 What’s your favorite tip to throwing a great dinner party? I’d love to hear! Love the centerpieces and how they’re interchangeable with the seasons/theme!